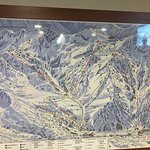 Best ski lodge in USA because of the staff and location! We just completed our 9th Presidents flay weekend father son ski trip at Rustler Lodge in Alta. The Managment (Tom and Kate Pollard) have always hired very well and the entire staff makes you feel like family. The service and food are top notch. The location at base of one of the best ski resorts on the planet if you like powder and challenging skiing is ideal. This is a very family oriented high end lodge and one worth exploring. Breakfast and dinner are included in room price and then meals among the best one can find in Utah. Meg and Kelly are so helpful for any dining requests. Hats off to the kitchen staff for serving up tasty fare. Rooms are well appointed and there is ski shop in the building. They 715am morning Yoga/Stretch with Julie is always a great day to start the day. Heated pool, hot tubs and steam rooms a great way to relax after the day. John is the bar has been there forever, is great company and makes one feel at home. Don’t miss the happy our chow and snacks. The reservations team is very effecient and great on email...Rebecca, Jackie and Seth are always very helpful as well. Anyway open to answer questions but i have stayed here with pals, with my whole family and with the father son group and cannot say enough positive about the Rustler Team!!! I has a wonderful first stay at the Rustler with friends and relatives. I have stay d in a huge variety of places over forty years and know what really makes a lodge work for me. First and foremost, the people who works there are wonderful. They do everything in their power to make you feel welcome. Probably because they clearly enjoy their work and like their fellow employees, and are well treated and appreciated by management. They uniformly have a ridiculously friendly attitude, making all encounters pleasant and helpful, patiently answering every conceivable question. Without this aspect, even the best-equipped outdoors lodge can be a grim affair. The attitude of the people who work there also likely reflects the fact that they and guests have every resource to work with right on site: a ski shop that took the time to give me the best fit I’ve had in years, on site lift tickets, on site ski school sign up, ski out to slopes and return chair lift with equal access to both sides of Alta, an outstanding restaurant with a lavish and delicious breakfast and dinner included in the room price, free cocktail and snacks (good ones) hour, a day spa with world class masseuses (Jeannie and Amy come to mind), indoor and outdoor hot tubs, eucalyptus steam room, outdoor pool, and - yes - live animal shows and end of day s’mores for the kids. I want to give a shout out to the pastry chefs, two of whom I met early one morning. Awesome desserts. And a shout out to FCB. I hope his streak continues. Yes, as others have commented, when you factor in the meals, location, and on site resources, it is the best priced deal around. But the friendly and helpful atmosphere coupled with the substantive resources skiers need take the Rustler to the level of a rare gem. I thank all the people who work there for making my stay with friends and relatives truly memorable. I’ll be back for as long as I can ski. Room tip: i didn’t sound much time in my room for all the obvious reasons. Thank you! We're overwhelmed with your high praise. We cherish our returning guests, but to receive such a comprehensively glowing review from a new guest is especially gratifying. We're not for everyone. Indeed, Alta is not for everyone. But for those who are discerning about ski culture and the contributions the Rustler brings to it, we are an excellent fit. Thank you for writing at length about our strengths. Those are always our people, so I appreciate your shout outs to particular folks. And we'll work on that overnight coffee situation! 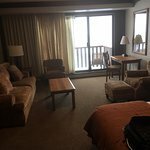 Just spent 4 nights at the Rustler Lodge. Really enjoyed it. My room was immaculately clean and very spacious, with a great view of the slopes. The staff provided very professional, warm, service, and were always very helpful. Great amenities with a terrific hot pool and steamroom. The included breakfasts and dinners were well presented and well prepared. Service in the dining room was a bit confused at time, but nothing too bad. This is a very pricey lodge, which is the biggest negative. However, with the location at the base of Alta, the Rustler provides convenience in an upscale setting. The Rustler does skiing right. 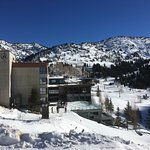 You can ski to and from either base location at Alta Ski Area. Breakfast and dinner are included with lodging. There are a wide range of rooms, from dormitories to suites. The lodge has a large heated pool, sauna, and a steam room, as well as a day spa. The views are spectacular, especially from the comfortable bar. The staff is uniformly friendly and service oriented. Ski shop on premises. Easy access via shuttle from SLC airport. 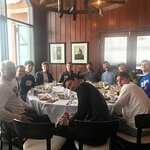 We were also offered the opportunity to dine at a table with the manager and some other guests which was a nice idea if you wish to meet others. We're delighted you joined our long-running Rustler Lodge tradition of the Wasatch Table, a hosted dinner giving guests the opportunity to learn more about Rustler history and share skiing stories. Our modified American plan for dining is a luxurious and relaxed way to maximize your ski holiday. No scramble to book dinner reservations weeks in advance or cook for a large crew of people after what should be a joyous and exhausting day on the snow. Though biased, I believe our gourmet four course meals are a highlight of any Rustler stay. We are so glad you found your fifth floor room convenient. Thank you for your compliments.